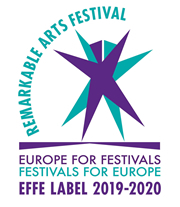 Although the 5 days were mainly rained out, the festival brought together all the various interest groups under one big tent, and the evenings merged into a fine display of high quality music and poetry from across Europe. The scene was both relaxed and charged at the same time. A strange excitement softened by the constant sound of soft rain on tent rooves, which was the precise lullaby needed for a well-earned rest by all. Dawn at the solstice was overcast for the first 20 minutes or so, and as I read the Dindsenchas (Place-lore / Praise poetry for Tara) to the magical harp of Laoise Kelly, the sun burst out through the clouds and let us know that it would never be closer to Tara than on that day. I’m not sure what changed inside me, but it was like my feet became the prongs of a giant electric plug. I’m surprised my hair still has any curls, it was probably the single foremost highlight of my entire life. The hour-long performance was in the Halls of Tara, or rather within where the halls used to stand, leading up towards the Rath of the Synods, though my imagination was fully charged and I had no problem imagining poeting for a high king, millenia ago. The true beauty of Tara for me, is the sense that when I’m up on the hill, I can solve any personal mystery just by focussing on it for long enough (and that’s not long). Tara really has a magnetic draw that makes one never want to leave, in fact a friend of mine who came along with us is still there, a full five weeks later. Those ancients were onto something big alright. I’d recommend visiting Tara to anyone as a must-do at least once in your lifetime. The Friday night saw a great mix of musicians and poets voice their praises for Tara and their response to the ongoing threat to the Gabhra Valley. All had a great time, building a well-needed sense of hope for a rerouting of the M3. Yours truly ended up not performing that night as I took the place of MC, underneath Tony’s massive Shell-to-Sea tent. Many special thanks and appreciation go out to Heather Adams (the organiser), and to TaraWatch for making it all possible. To see a full list of the Artists and some comments on the event click here. To catch up on what’s happening at Tara, click here or visit TaraWatch’s myspace site. Tara and the Gabhra valley need any help they can get right now. She is the very heart of our entire culture. There will be a number of (simultaneous) countrywide benefit/awareness concerts for Tara on the 29th of September. If anyone would like to perform for these important events, please contact me here. Click here for pictures and videos. The ‘In Sight of Raftery’ festival in Kiltimagh this weekend drew poets from all around the country, and further afield. Local poet Terry Mcdonagh presented the intimate event, now in its third year, with a fine array of readings and performances throughout three venues, Lil Fordes, Kitty McGreals and The Electric Mouse. Being there for only two nights of the five days, I managed to catch the main events and thoroughly enjoyed listening to the poetry of Louis de Paor, Collette nic Aodha, Ger Reidy, Rab Wilson and of course Terry himself, to mention but a few. The Kiltimagh crowd made everyone feel more than at home, and even treated poets to complimentary accommodation when no space was left available in the hotels or B&Bs. I’d recommend next year’s event to anyone who has a weekend free to visit Mayo in early June. The highlight of the event was the late Saturday night slam at the Electric Mouse which drew 14 performers from every corner of the island. The five who made it through to the final round were Chelley McLear (Belfast) and Gordon Hewitt (Derry) who shared first prize, Rab Wilson (Scotland) who came third, as well as Denise Heneghan and Mags Traenor (both from Galway) who were joint fourth. A big thanks to Terry for a really entertaining weekend and to the Kiltimagh natives for their cosy welcome. With more plans for expansion, the ‘In Sight of Raftery’ festival promises to grow into an even more popular poetry event and I’ve made plans to be back next year. Videos of performances at the Electric Mouse are here.